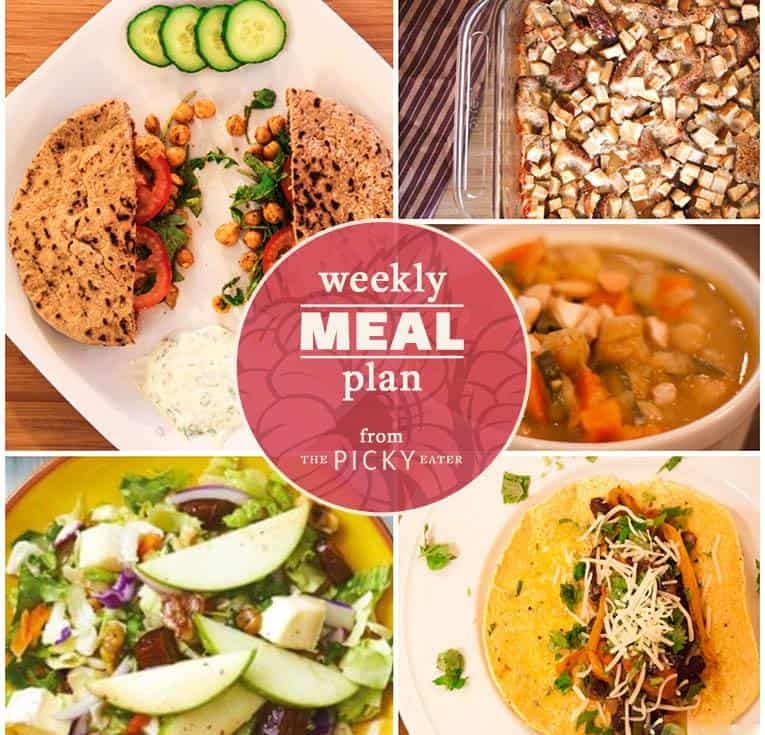 Weekly meal plans are back!! After Ayan was born, I took a little break from meal planning, because things were crazy busy as I’m sure you can imagine! 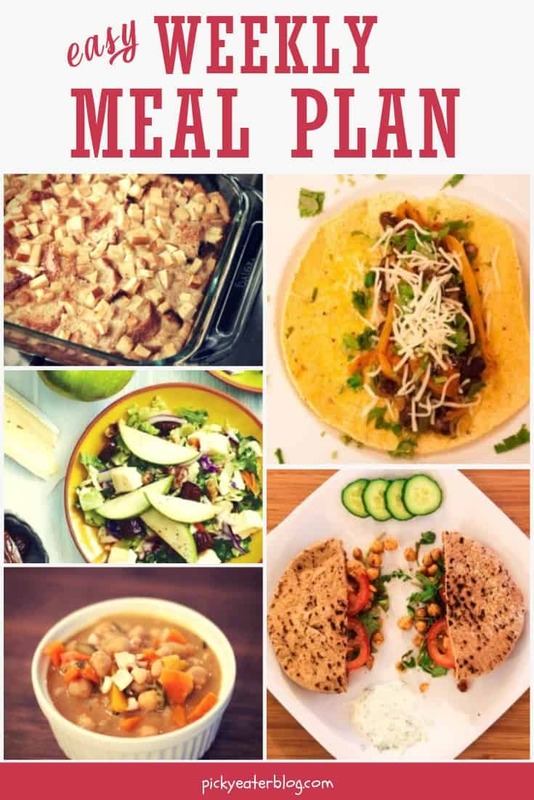 Our dinners ended up being lots of quick meals or stews made with whatever veggies/lean protein we had lying around the house, thanks to my Instant Pot. We still were able to eat healthy, but things got kind of monotonous after a while – since there are only so many one-pot meals you can make. Tuesday: Brunch for dinner with this french toast bread pudding and apple and brie salad! Love all the recipes . They are quick, healthy and vegetarian. Thanks a lot!! Yay! So happy to hear that Sujata! And yes – all the meal plans will be vegetarian, or vegetarian friendly! Thanks for sharing this 9 week plan that is going to be beneficial for me in every aspect. Thanks! I’m sure you’ll love the recipes!